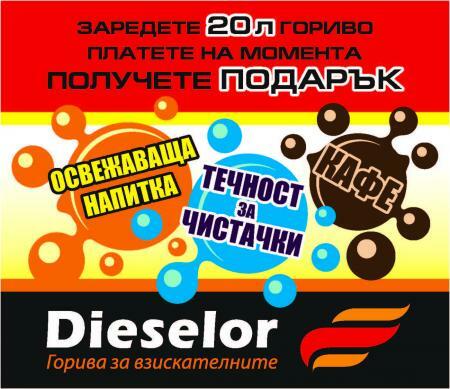 You are welcome to come to petrol stations Dieselor to take advantage of the summer promotion that will make the hot days more pleasant! There is a great variety of gifts, waiting for you and tailored to different preferences, moods and needs! 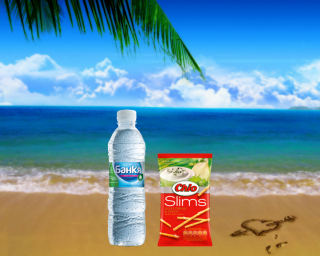 You can choose between summer washer fluid, mineral water 1.5 l, refreshing carbonated drink 0.33 l, refreshig coffee or beer 0.5 l.
To take advantage of our offers, you have to load 20 l of fuel or more and pay in cash, with a credit or debit card. Plovdiv, 139 "Vassil Aprilov" boul. Novi pazar, 39 A "Tzar Osvoboditel" boul. 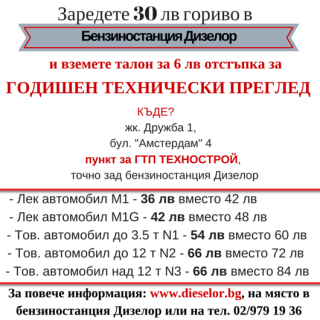 Duration of the promotion: from 01.04.2019 until 31.10.2019. 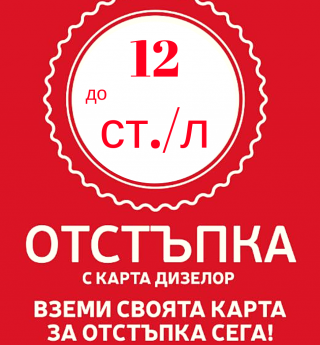 * This promotion can't be combined with other discounts or promotions. ** The number of gifts does not alter when doubling, tripling or etc. the quantity of fuel. *** Ask about the available gifts. They may vary between the petrol stations and according to the stock. Timespan: Unlimited until Dieselor changes the conditions. Timespan: From 27.07.2015 until 11.08.2015 or until stocks last.